Photo Tip: use a flashlight to paint in interesting parts of a long exposure shot. Using a flashlight for long exposure landscapes works pretty well for lighting select objects in the foreground. It's kinda like a real-life version of photoshop, or a "macro burn tool," painting in certain features for just the right amount of time for them to expose correctly. 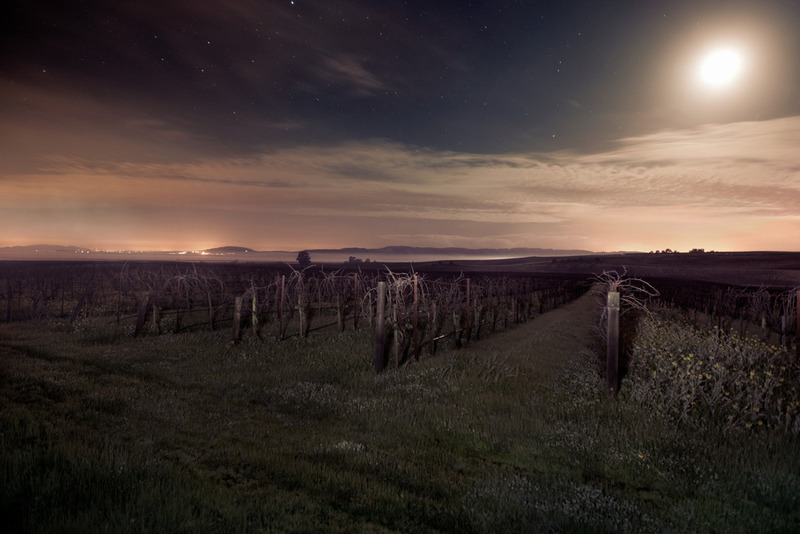 This shot's the result of some experimentation in a vineyard at one in the morning, with a pretty bright LED flashlight. It's a tad more accurate than using a regular flash, which i dig. a broader beam, btw, will give you a better effect than a hard spotlight. think "bigger brush."